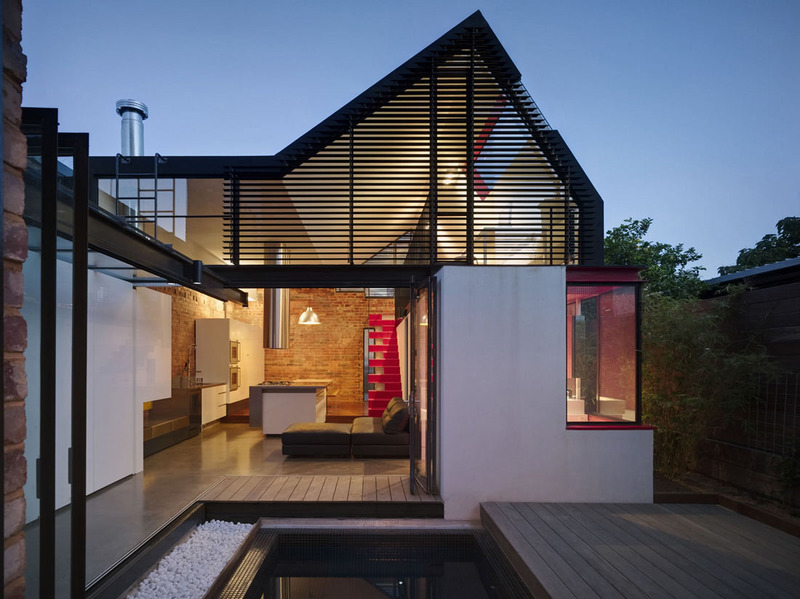 The Vader House in Melbourne, Australia is a modern extension to a Victorian Terrace in the inner city designed by Andrew Maynard Architects. A steel frame wraps around the high boundary walls. The courtyard at the centre of the property is strategically located to allow the old terrace and the extension to have direct access to the outdoor space. 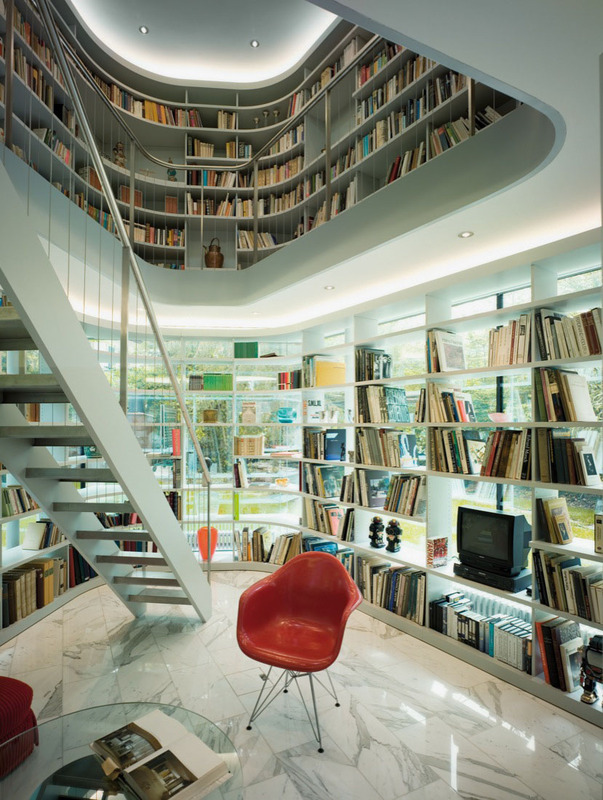 The plan for the extension is complex yet functional. The boundary external wall is also the internal kitchen wall. The wooden retractable deck opens to reveal a hidden spa right in the middle of the courtyard. 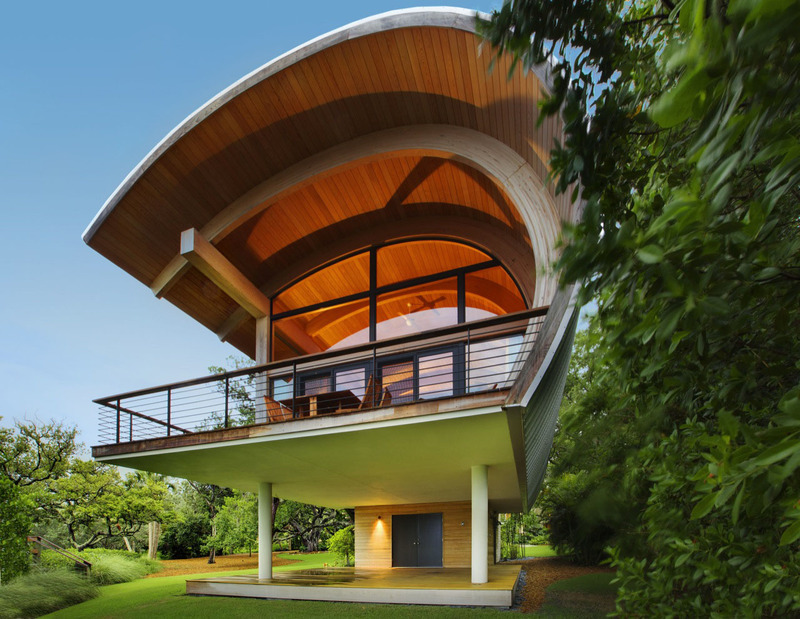 This wooden structure in Casey Key, Florida is located on a barrier island set within a mature oak hammock along Sarasota Bay. Designed by TOTeMS Architecture, the structural form of the guest house is influenced by the coastal winds from the west. The house has one bedroom, bath, living area with kitchenette and a loft. 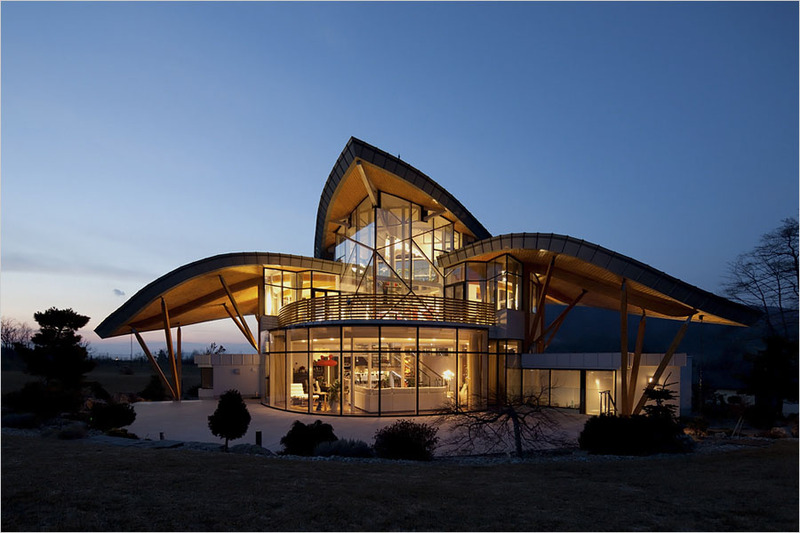 Laminated pine beams curve over the entire space which blurs the distinction between wall and roof. 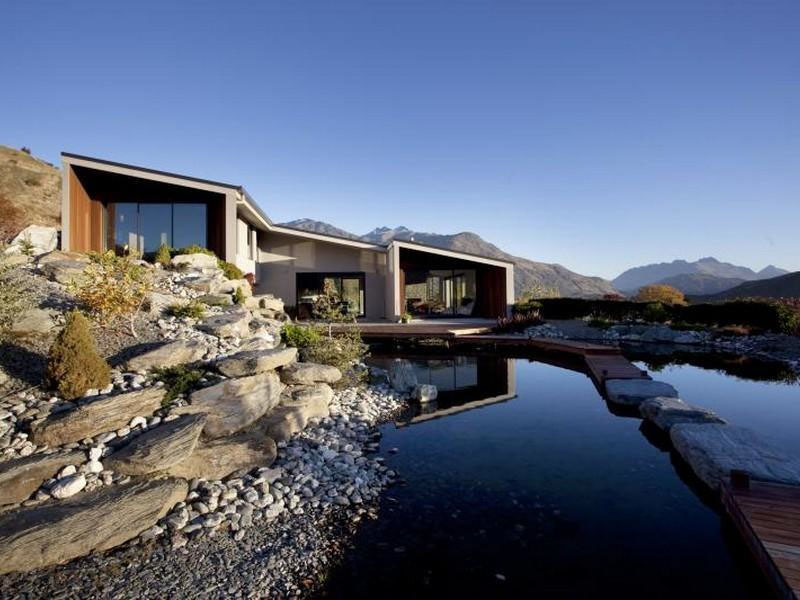 This award-winning home set on an acre of gardens near Queenstown, New Zealand has awe-inspiring views overlooking Lake Hayes. 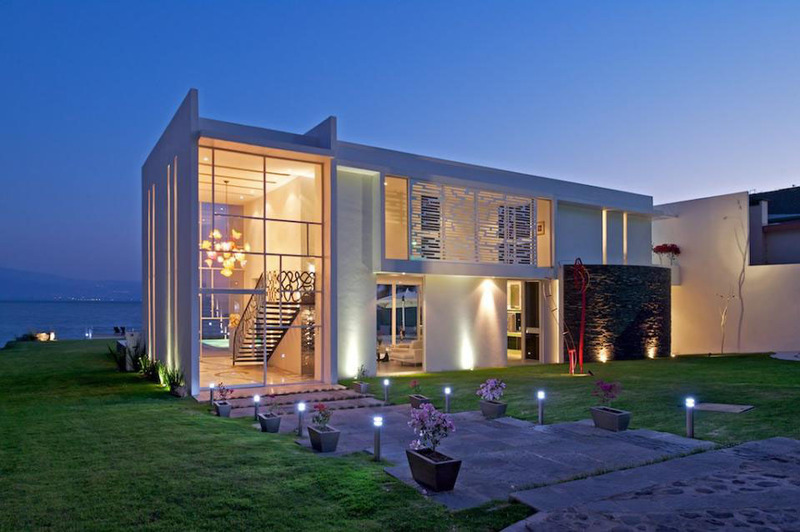 Designed by architect Richard Priest, the modern home has a large open plan living and dining area with high ceilings. The floor-to-ceiling windows and doors open on to the beautiful grounds with large pond, planting and tranquil waterfall. 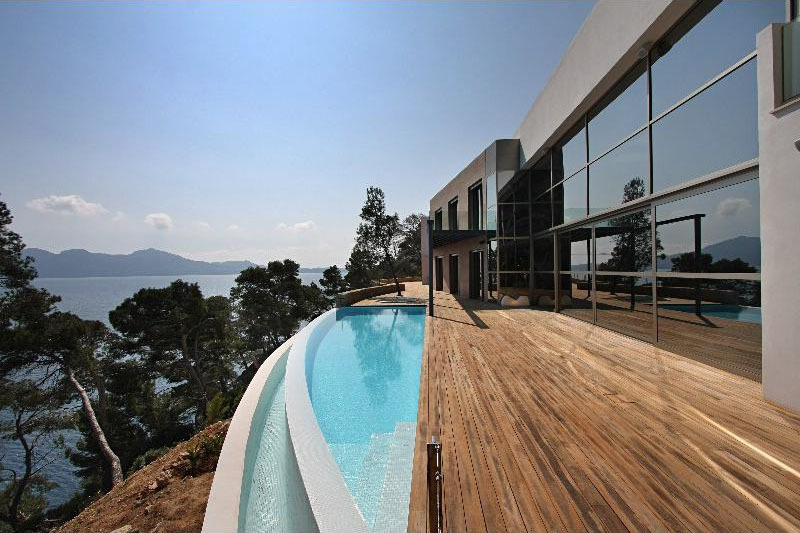 Perched on a hill in the Bay of Formentor in Mallorca, Spain, this luxury modern home offers waterfront living in a secluded setting. 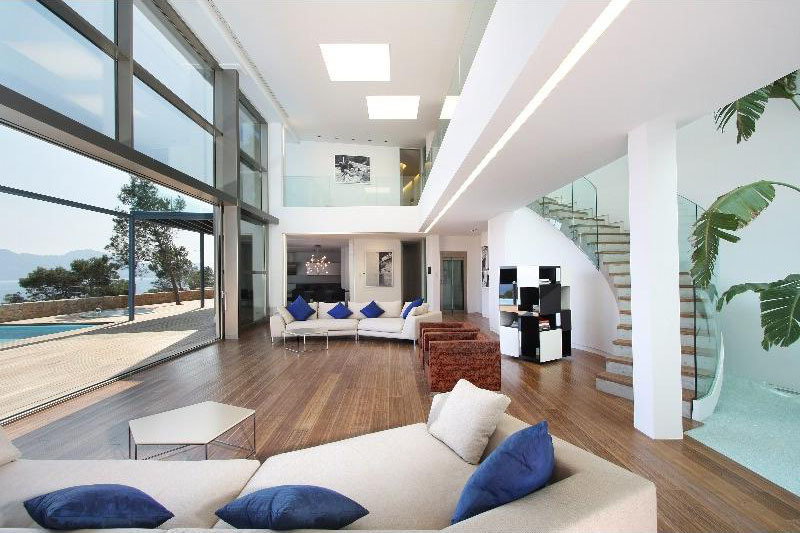 The main architectural feature is the high glass front wall which lets the light into the rooms and provides stunning views of the Bay of Pollensa.